JM Dating v1.02 - meet people from all over the World! Excellent dating Joomla 3 template based on our new high quality framework EF4! We strongly advise you to get familiar with all EF4's features since this Joomla 3 framework provides extremely powerful settings to configure that you will find totally helpful - moving you working on your site at the higher level! We are sure about it! 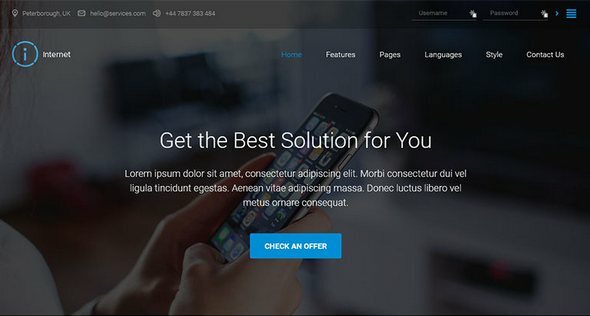 If you look for the easy and complete classifieds Joomla extension to build real estate, cars, hotel or any other classifieds portal, this template will meet your requirements. You will be able to create your own custom fields suitable for each category, configure custom search options, custom locations or paid ads. 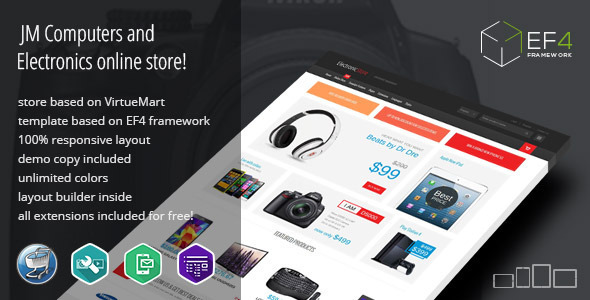 JM Computers and Electronics VirtueMart Store is our latest Joomla ecommerce template that you can use to build your store quickly with not much effort since its based on our EF4 framework. I'm going to describe several template features that you may find useful while creating your store. 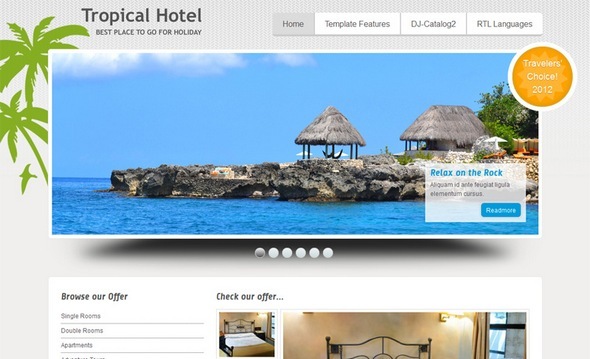 This template is simply perfect for hotel website. The demo site includes DJ-Catalog2 component to display hotel rooms and apartamets as well as adventure trip offers with their the detailed description. You can choose from the wide range of module suffixes that relate to characteristic info icons. Also take a closer look at fantastic animated buttons created with CSS3. Cleaning companies can be found in every city in the world. Having a clean and modern website can be a good starting point to find a new customer. On our demo site we focus on the attractive presentation of the company offer and details. 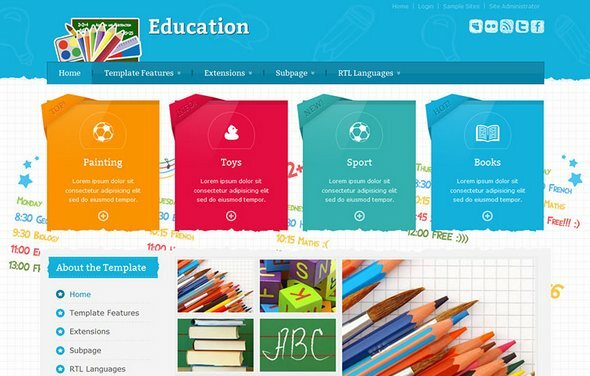 Using the color boxes with icons, you can present the scope of work as well as the cleaning methods. 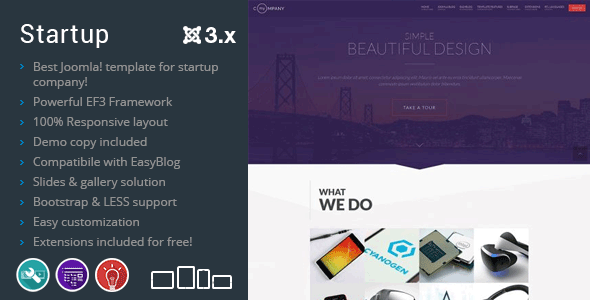 It's free template with exclusive access to download for our active subscribes only! We are happy to give you such a bonus, hope you like it and found it useful for personal use or your client's project. The template is addressed for internet service providers. The service offer is devided into two customers type - residential and business solutions. 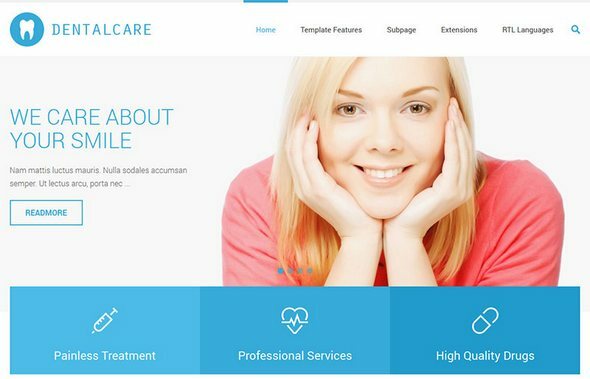 What you want to sell with this modern and elegant VirtueMart Joomla template? Electronics accessories? Computer parts and components? Software? Or maybe shoes & jewelry? :) You can sell everything with this template. Why? 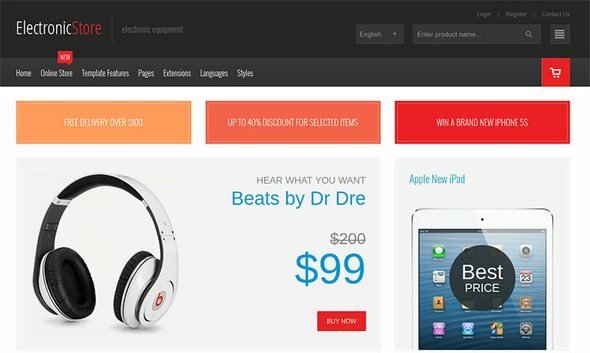 Because VirtueMart free Joomla most popular store component is flexible and allows selling any kind of stuff. The demo site presents an example of electronics products with product multi variants related with different prices, product technical details created custom fields and all prices ranges to show you the variety of VM properties.